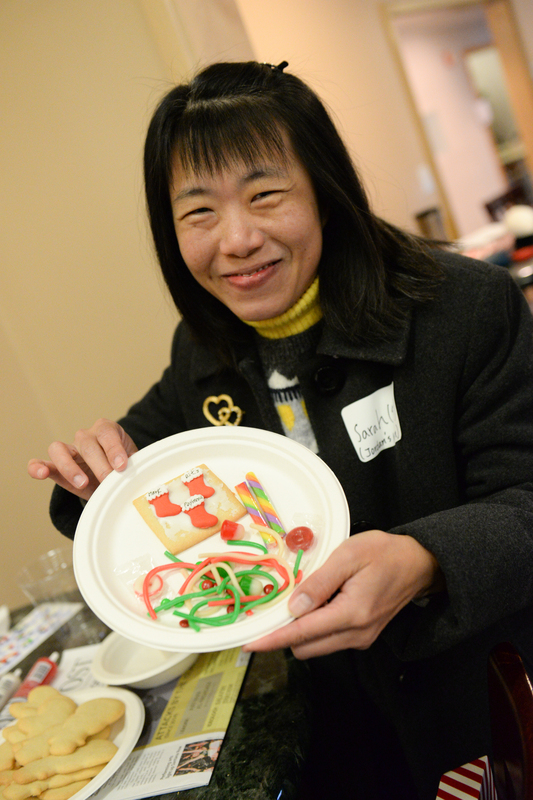 In December the lower school hosted a festive and fun holiday cookie decorating event for parents. Coffee and a light breakfast was served. Parents had been asked to bring in gently used children’s clothing for donation to the lower school’s dress drive, to help make the holidays more special for kids in need in the community. The middle and upper schools held their cookie decorating events together at the upper school campus, with both parents and students invited to attend. An unexpected side benefit of the activity was that it proved to be a great stress reliever for the high school students, who were able to relax in between taking their finals. In fact, it was so effective that talks are already in the works to bring it back next year during finals!